A traumatic brain injury (TBI) can leave you incapacitated for the rest of your life with permanent brain tissue damage. It can be a devastating injury to endure, with persistent complications, such as difficulty with cognition and memory. It can also lead to degenerative brain conditions from repeated concussions. Many TBI victims never recover completely. Even if you regain a short-term initial recovery, you could still require lengthy and expensive outpatient therapy. Unfortunately, head injuries, unlike other injuries, are often invisible to the naked eye. You could appear normal on the outside, even while suffering from memory instability, impaired cognition, nausea, and other symptoms that are typical of head injuries. If you have suffered a traumatic brain injury due to another’s fault in Bend, Oregon, even if you may be feeling fine at the outset, it is critical that you go through a proper medical investigation. You should also enlist the services of an accomplished TBI attorney in Bend, OR who can evaluate your potential claim for damages. An experienced attorney will leave no stone unturned to collect evidence, including interviewing medical professionals to ascertain whether the results might have a long term impact on your life. It’s not uncommon for TBI victims become financially vulnerable due to a progressively failing ability to work. 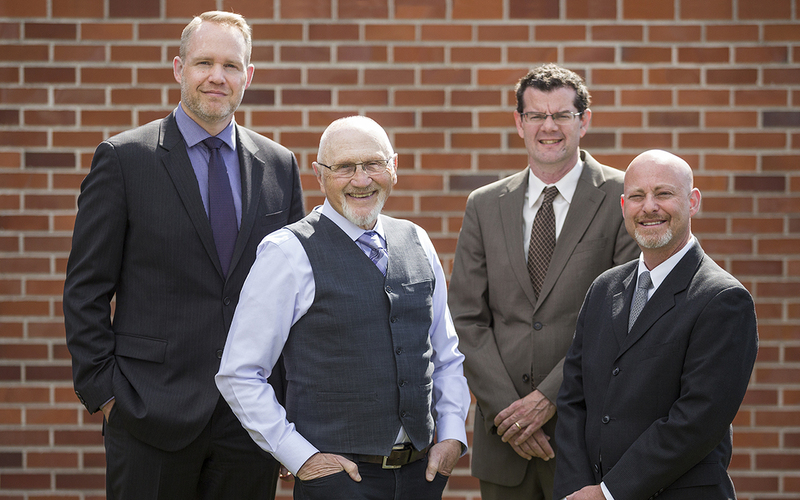 The competent attorneys at Dwyer Williams Cherkoss in Bend, Oregon have years of experience in fighting for the rights of TBI victims and helping them recover their rightful legal compensation for their brain and spinal cord injuries that occurred due to another person’s fault. On average, according to a report by the Centers for Disease Control, there are almost 2.5 million visits to emergency departments, 300,000 hospitalizations, and 50,000 deaths reported annually due to traumatic brain injury. Approximately 30% of all injury-related deaths in the US occur because of a traumatic brain injury. Each year nearly 50% of all TBI-related incidents take place because of falls, while about 15% of TBI related incidents occur because the victim’s head gets struck by or against an object. There are two types of brain injury, according to the Brain Injury Association of America. These include acquired brain injury (ABI) and traumatic brain injury (TBI). ABI is caused by internal factors, such as lack of oxygen supply to the brain, whereas TBI is caused by external physical factors. There are many people who never regain normal functioning of the brain after a head injury. These people require ongoing care, treatment, and assistance with basic living tasks. It is even possible for a victim to suffer from TBI related symptoms years after the injury occurred. This mild form of brain injury may cause unconsciousness or a daze effect for a few minutes or seconds. You might feel confused or disoriented upon regaining consciousness. However, concussion should not be taken lightly. It can result in painful headaches, dizziness, and balance problems. In some people, concussions also lead to depression, anxiety, personality changes, and other emotional issues. A single concussion can make you prone or vulnerable to additional concussions. Repeated concussions can be dangerous and lead to dementia or chronic traumatic encephalopathy (CTE), which is a brain degenerative disease. Bruises on the brain are typical of an injury involving direct impact. Brain herniation, or swelling of the brain associated with contusions can be dangerous. Some injuries might require surgical intervention as well to keep oxygen flow to the brain at a safe level and release pressure buildup. Diffuse Axonal results in widespread brain damage. This injury is typical of sudden and severe jolts of shaking that involve powerful rotation of the head. The brain lags behind, as the head moves in motion and essentially slams against the interior of the skull. The brain can suffer damage in multiple places. Half of all severe head traumas result from diffuse axonal injury. It is among the most common type of brain injury in car accidents. Brain tissue can get severely damaged when some form of impact breaks the skull. It is possible for pieces of bone or foreign objects to enter the skull cavity, causing extensive brain damage. Rupture of nerves or shearing of tissues in the brain can lead to permanent impairment, and even death. Penetration injuries are a severe form of TBI. They, typically require brain surgery to repair the skull after removing foreign objects. The damage can be permanent in some cases and may even result in significant disability. It is a coup and contrecoup injury when both sides of the brain sustain damage in a TBI. This injury often arises when the brain is forced to one side of the skull, because of a great force of impact on the opposing side of the brain. As a result, there are multiple contusions on the other side of the brain, which can impair coordination, memory, balance, swallowing, muscular abilities, and sensation. If you have been involved in any type of accident that resulted in a traumatic brain injury, or have otherwise suffered a blow to the head in Bend, OR, you must get medical attention as soon as possible. If your child is involved in an accident involving a head injury, you should look for some other signs and symptoms in addition to the ones mentioned above. Changes in mood or behavior, such as loss of interest in toys, uncontrollable crying, or disinterest in school activities, are all possible symptoms of traumatic brain injury in children. You should also look for any sudden changes in your child’s sleeping or eating habits after such an injury or fall. Patients with severe brain injury will require advanced treatment by an interdisciplinary team of professionals. This should include a primary care physician, neurologist, surgeon, physical therapist, and psychologist. You may receive treatment at a trauma hospital first, and then be moved to a specialized clinic. The process of the traumatic brain injury recovery will be explained to you in detail by your healthcare providers. Rehabilitation begins while you are still recuperating at the hospital and may continue on an outpatient basis for several months. Rehab focuses completely on strengthening physical strength, mobility, speech, memory and cognitive abilities. It may also involve psychological counseling to help you cope better with your brain injuries. It is possible for the costs of TBI treatment in Bend, OR to reach thousands of dollars within a few weeks or months of the injury. The costs can go up to a million dollars or more over the course of the injury during your lifetime. However, the actual lifetime costs will depend upon the level of brain injury and victim’s age. Many victims of a traumatic brain injury in Bend, OR are left with permanent disability, which only progressively worsens towards an early death. Victims can have their entire life disrupted and may be unable to attend school or work for a living. Families are often faced with the burden of caring for the victims, or placing them in assisted living facilities, which can significantly add to the costs. A negligent property owner allowing dangerous conditions to exist on their premises can cause undue and preventable ‘slip and fall’ accident, resulting in a traumatic brain injury. These include snow or ice that is not cleared from the pathway, spilled liquids, frayed or torn carpeting, uneven flooring, broken stairs, poor lighting, and broken rails. Fall injuries are a particular concern in homes, commercial buildings, and nursing homes in Bend. It is common for children to suffer from permanent brain damage due to the negligence of midwives, nurses, doctors and other involved medical professionals during delivery and birth. Improper force or pressure on the child’s head can cause traumatic injury to a fetus’ or newborn infant’s brain. This can lead to a permanent disability in the form of cerebral palsy. Car accidents in Bend, OR can result in TBI if your head slams into an object upon impact in a car crash, or you get thrown from the vehicle and hit the ground. TBI is common among pedestrians, motorcycle riders and other victims of car accidents. Brain injuries can be caused by falls from ladders, roofs, scaffolding, and other heights. Getting into collisions with forklifts, or getting struck by tools and equipment at an industrial or construction site may also result in a TBI. Sports and recreational activities often lead to accidents and in many cases, head injuries. Coaches and/or trainers may fail to provide proper protective equipment, which may cause young athletes to suffer permanent brain damage. If you are a victim of traumatic brain injury in Bend, OR, you should get in touch with Dwyer Williams Cherkoss as soon as possible. Our experienced and compassionate TBI attorneys will listen closely to you, explain you about your legal rights, and answer all your questions before charting out the best available legal options to press your claim forward. Our dedicated TBI legal experts will launch a thorough investigation to determine the why’s and how’s of your case and build solid evidence to support your claim. We will identify the parties who could be held responsible for your head injury, and we may also consult with reputable accident reconstruction experts and other professionals. At the same time we will engage with medical professionals to assess the impact of the brain injury on your life. We may consult with experts who prepare life care plans to better assess the extent of present and future financial challenges. A life care plan may cover anticipated costs of medication, medical treatment, home modification, assistive devices, and more. These plans may also address the costs of long-term nursing care, in-home personal assistance, professional case management assistance and a possible eventual move to an assisted living facility, like a nursing home. You do not have to pay us anything until we secure a legal compensation for you as we will represent you on a contingency fee basis. At Dwyer Williams Cherkoss in Bend, OR, we have reliable and accomplished traumatic brain injury lawyers to help with your legal TBI claim. Call us today on 1-800-285-8678 for a free, confidential, and no-obligation consultation.